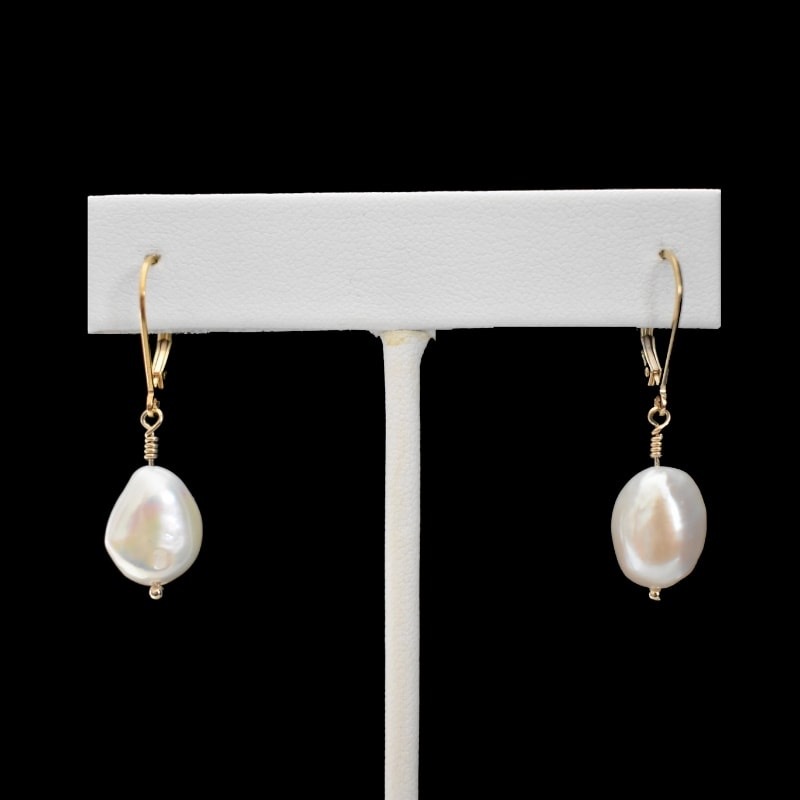 The MOOREA ISLAND pearl drop earrings are handcrafted on a US barrier island. Each pearl is secured to a 14k gold-filled leverback and floats effortlessly. 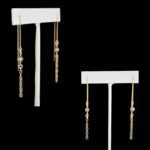 Buy these pearl earrings as a gift or treat yourself. You deserve it! 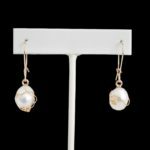 These gorgeous one-of-a-kind baroque pearls make the perfect bridal earrings, casual every day earrings and dressy earrings. Each pearl is one-of-a-kind.